Collagen hydrolysate, FOS Prebiotic, chelated Manganese, Copper, Zinc, Bioavailable silicon, Methionine, Vitamins A, D3, E, K and Selenium. Vetroflex Growing by animalife is a proprietary blend of nutrients designed specifically for young horses in early training to support optimal bone and joint development. Nutrient requirements for the young adult horse incorporate not only those required for growth but also for work. 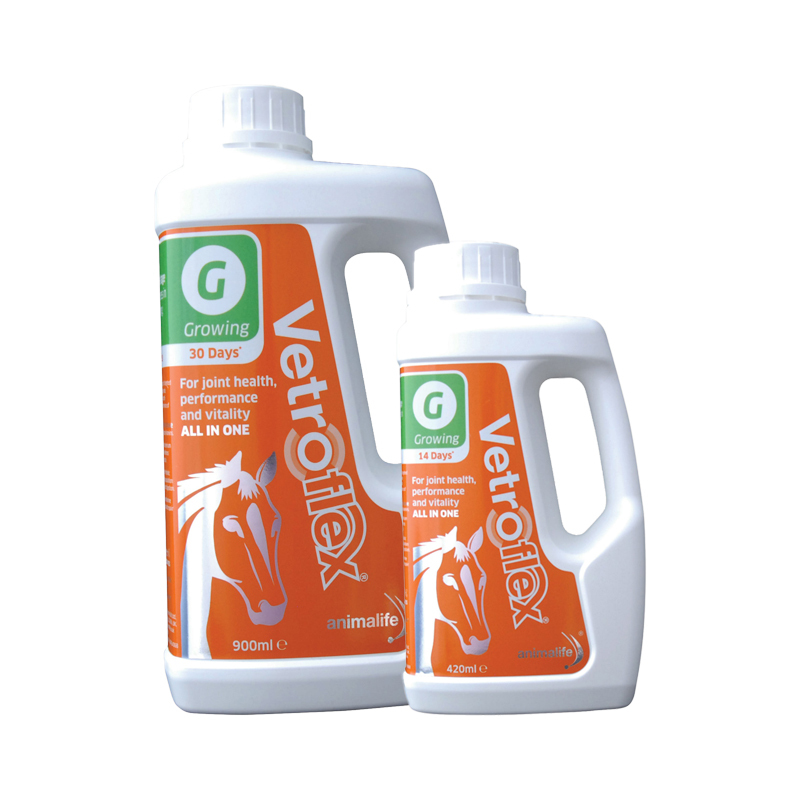 Vetroflex Growing combines additional nutrient support for growing and working joints with nutrients to help support the development of quality bone and muscle. Vetroflex Growing provides joint support via a supply of targeted amino acids from collagen hydrolysate, providing essential nutrients for both cartilage formation and the maintenance of a healthy joint. Essential trace elements and vitamins support the correct formation of healthy bone and connective tissue. Antioxidants vitamin E and selenium augment the body’s own natural defences and to help protect against free radicals. FOS-prebiotic ensures a healthy microbe population in the gut to ensure efficient nutrient digestion.